Experience our stunning rooms that truly set the benchmark for island living. With awe-inspiring views and luxury amenities we have a room to suit every need. 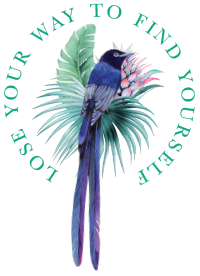 Click below to explore your perfect paradise. Overlooking the endless ionized infinity pool, our pool view suite offers a refreshingly relaxed vibe. 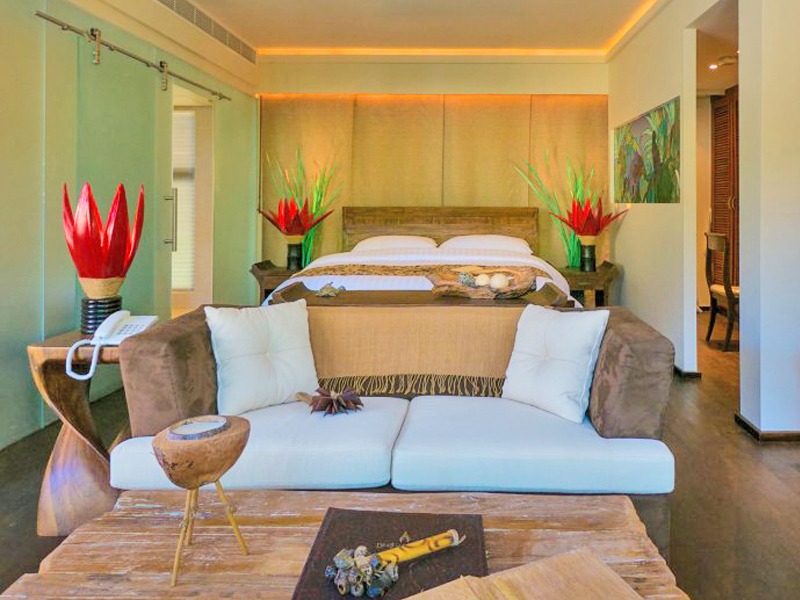 Thoughtfully designed using wooden furnishings inspired by nature, this suite features a luxurious king bed, open plan living area, awe-inspiring bathroom with freestanding bath and a gorgeous balcony overlooking lush tropical greenery. The perfect place to let your thoughts unravel. 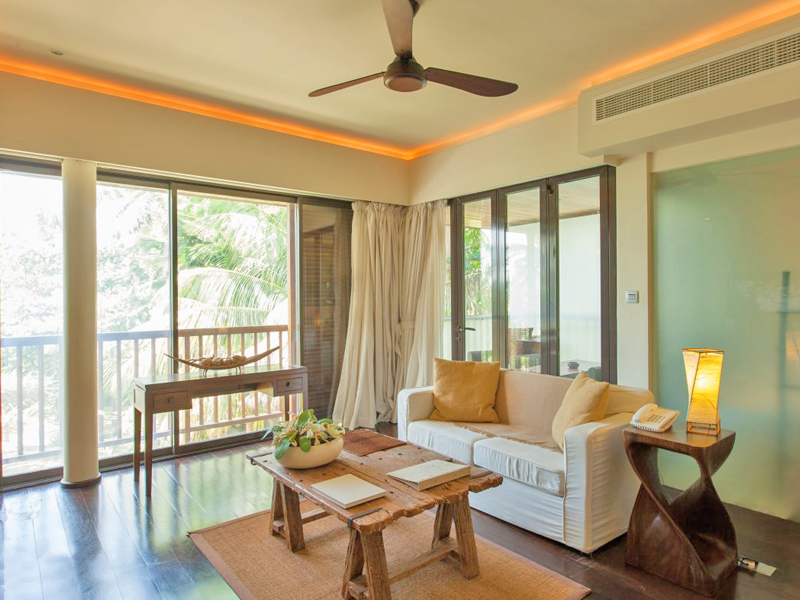 Our five front ocean view suites infuse spacious modern décor with traditional Seychellois style and sophistication. 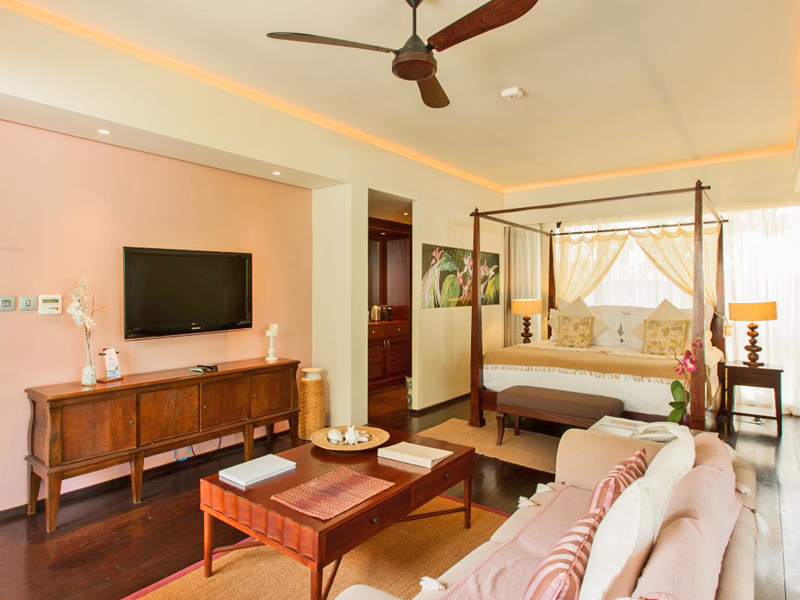 Featuring a lush king bed, cosy living area, rain shower, your own private balcony and direct access to the breathtaking Praslin beachfront, these suites are ideal for those that want to wake up to a perfect ocean view. Gaze endlessly out across the glistening Indian ocean from any of our four sea view suites. 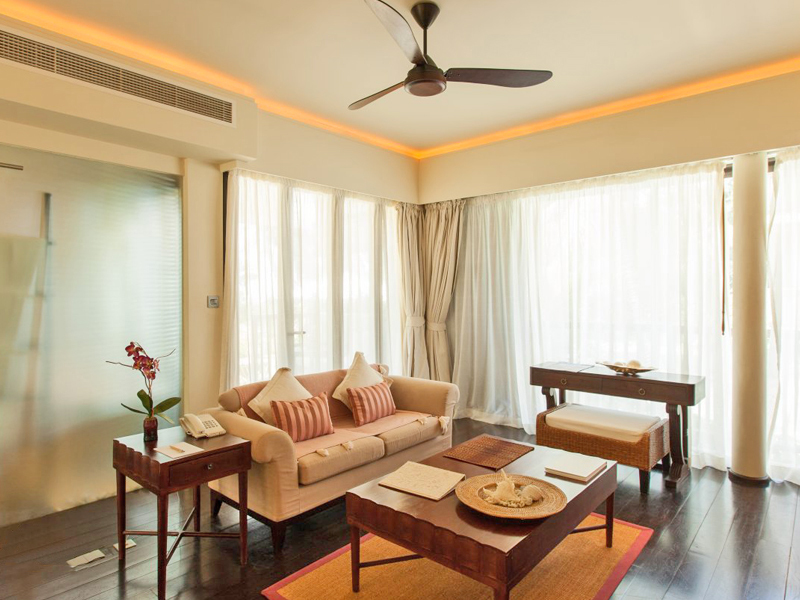 Paying homage to the local culture and history, these suites have been designed using natural African and Indian inspired décor giving them an architecturally authentic feel. Featuring either a king bed, stunning balcony and inviting bathroom with a freestanding bath and rain shower, our sea view suites offer the kind of luxury you’ve only ever dreamed of. Experience the ideal balance of style and serenity in our classic suites. 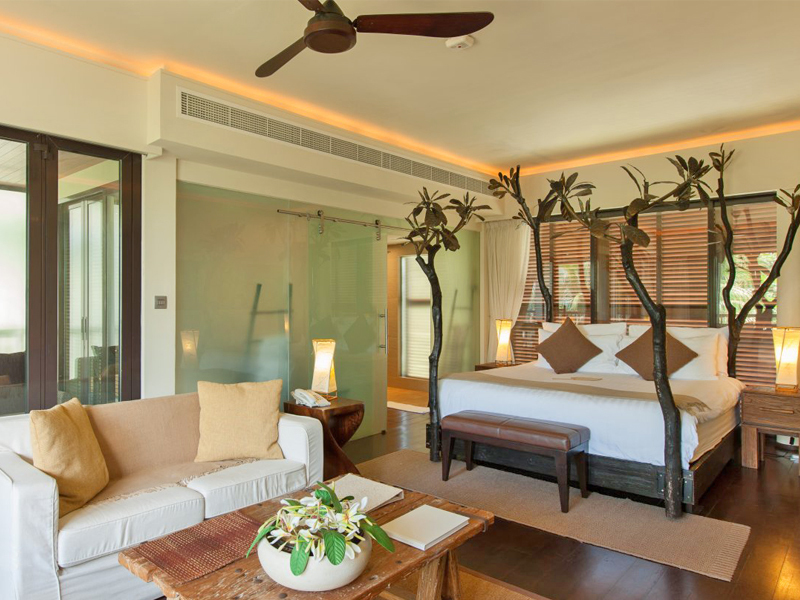 Surrounded by lush emerald greenery and the soothing sounds of the wilderness, each suite feels like a hideaway haven. Designed around natural elements, the rooms feature a king bed, glorious balcony, bathroom with a freestanding bath and rain shower, and all the amenities you need to feel comfortably at home. Perfect for families or large groups of friends, our family suite offers all the space and seclusion you could wish for on your island escape. Encompassing 1 Pool View Suite, 1 Front Ocean View Suite and 1 interconnecting single room with a shared bathroom, this suite can comfortably sleep five guests. The best of everything, this 115sqm space offers panoramic ocean and pool views, stunning balconies, beautiful bathrooms with freestanding baths and rain showers and entertainment amenities for all the guests to enjoy.